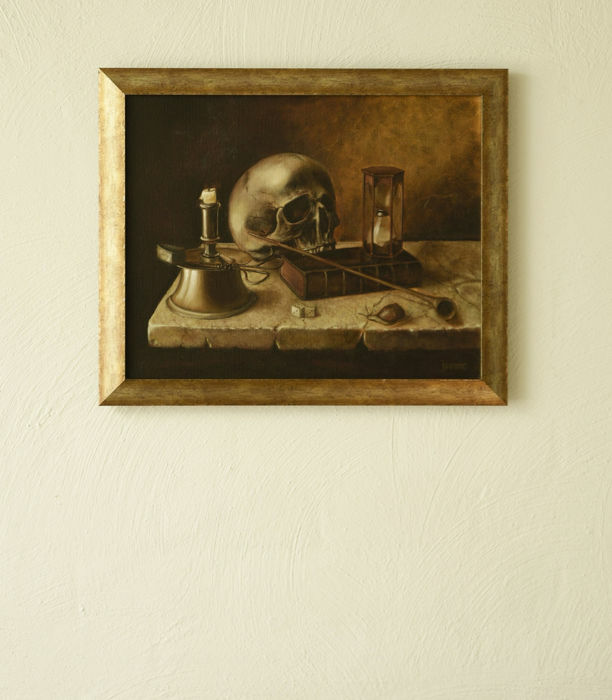 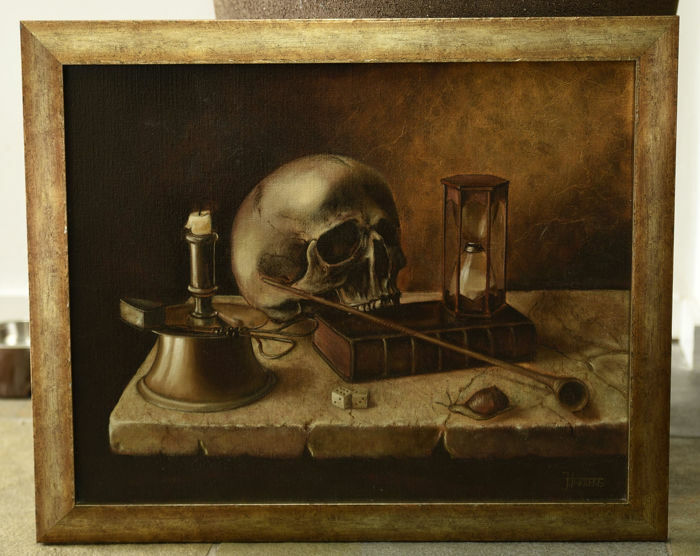 Vanitas still life painted in a realistic classical style with the best quality oil paint. 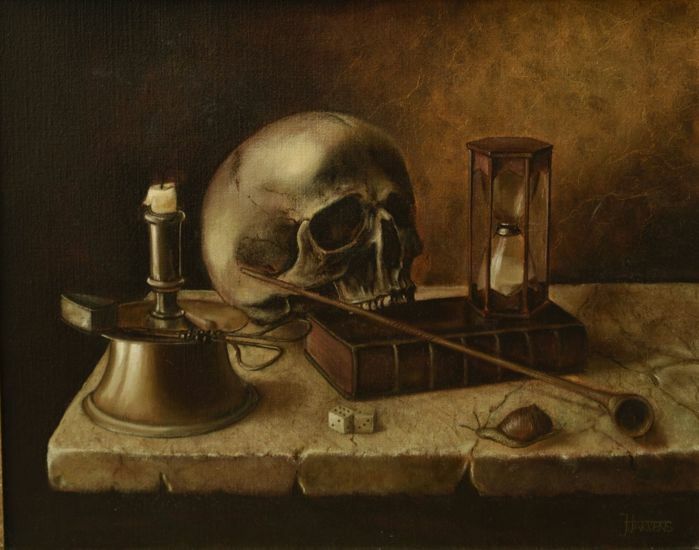 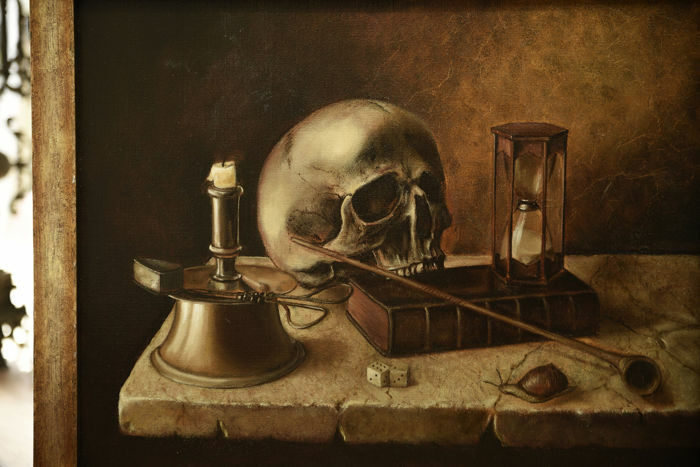 All elements of a vanitas are in this painting, a skull, a sandclock and even the fading smoke of the blown out candle is painted. 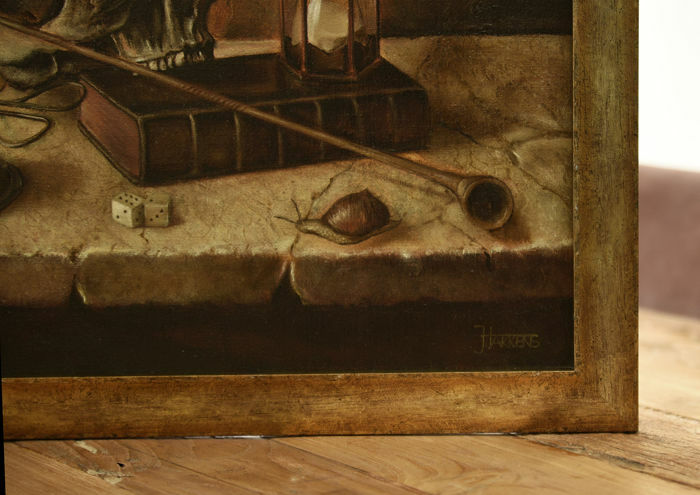 The fame fits nicely with the warm brown colors of the painting. 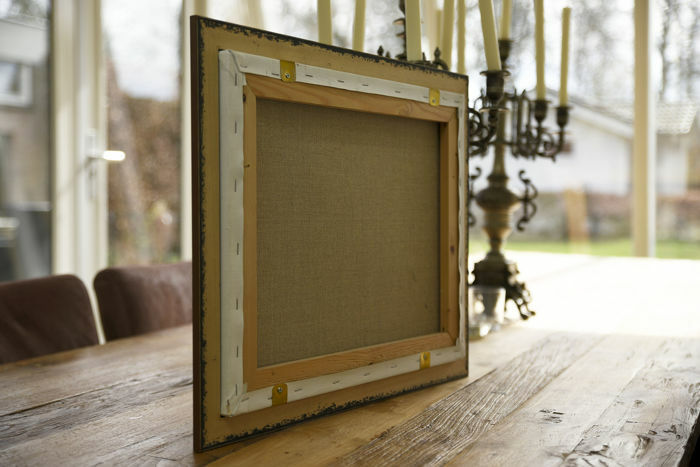 Painting will be shipped in a box protected with plastic bubble sheets.